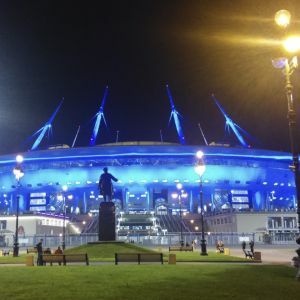 The FC Zenit Stadium, also known as Gazprom Arena or Zenit Arena, has been designed by the japanish architecte Kisho Kurokawa. The new stadium, with a capacity for 68.000 spectators has been built in the Krestovsky Island, where the old S.M. 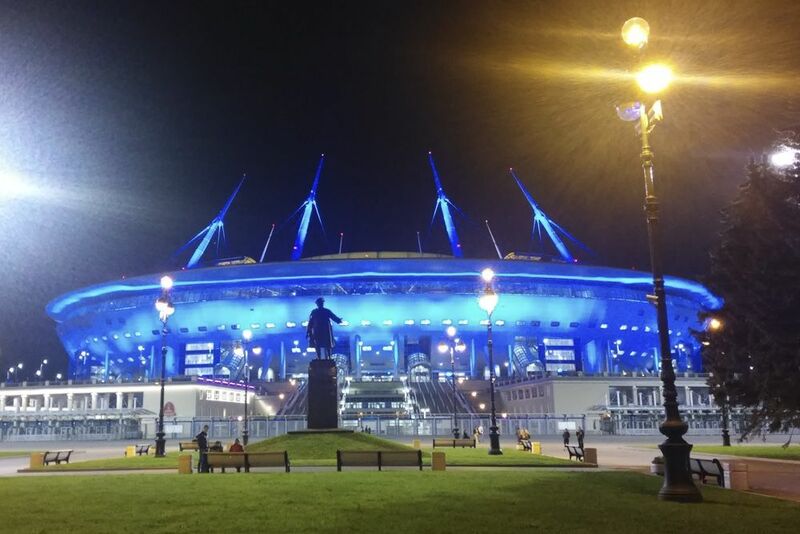 Kirov Stadium was located. 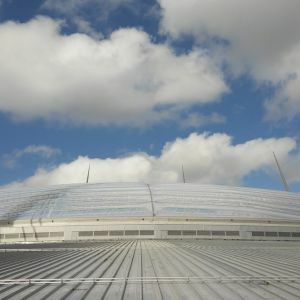 After its demolition in 2006, the club is now moving to its first stadium 27 years later. 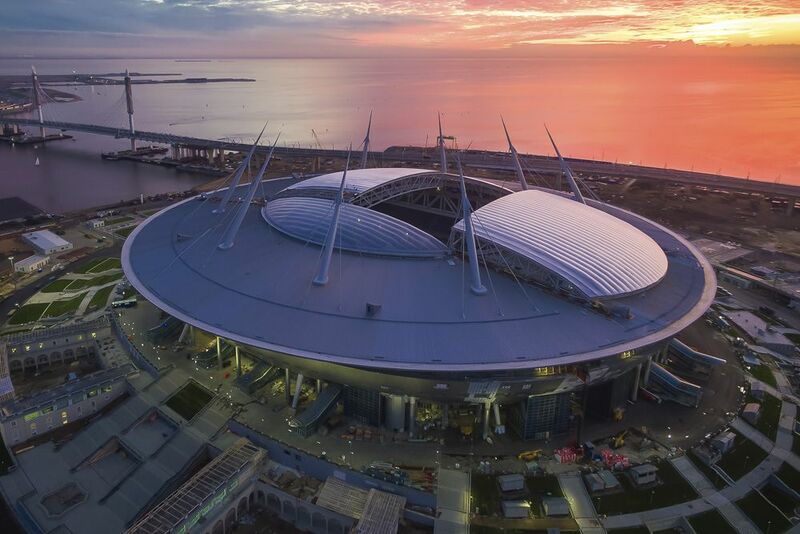 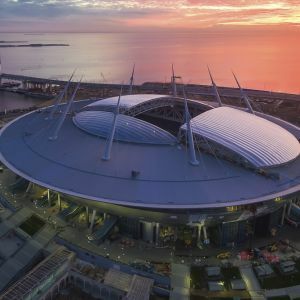 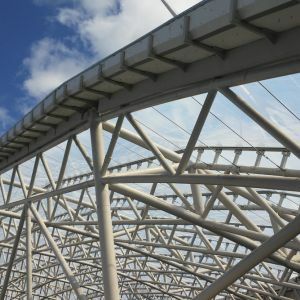 Designed to look like a spacecraft on the shore of the Baltic Sea, the stadium will also be one of the venues of the Confederations Cup in 2017, of the 2018 Football World Cup and the Eurocup 2020. 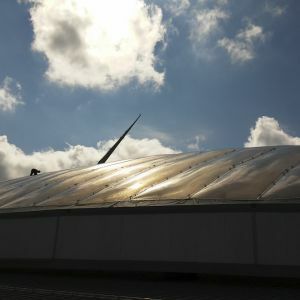 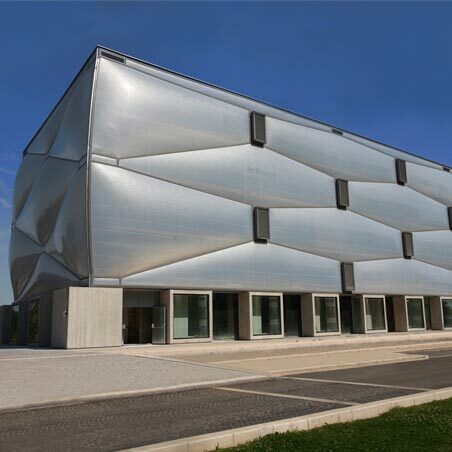 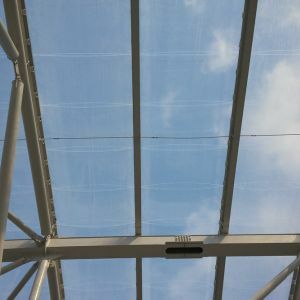 The cover consists of a transparent ETFE dome formed by ETFE cushions with an integrating design that allows the cover to be closed and opened, depending on the outside temperatures. 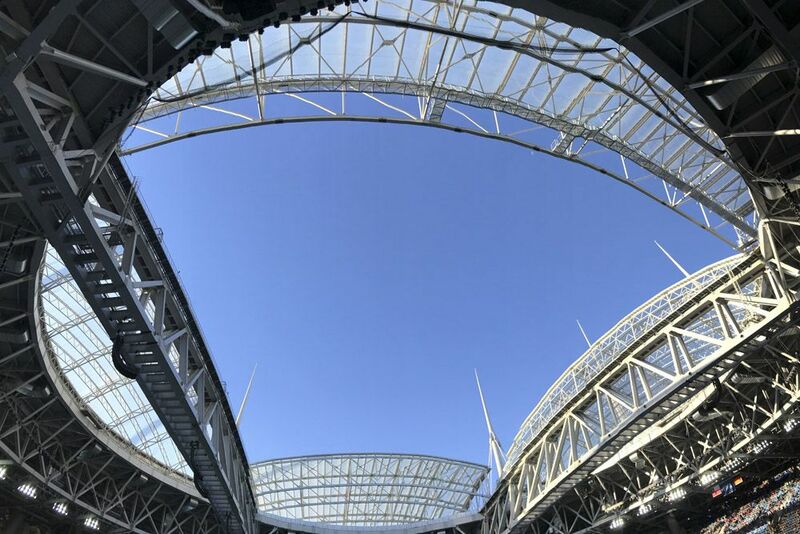 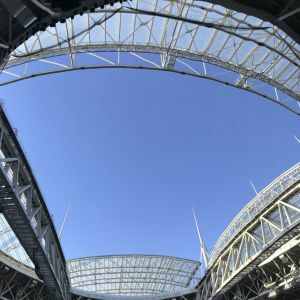 This design guarantees that when the roof is closed, it can also give the field brightness and at the same time it ensures the ideal thermal conditions to play. 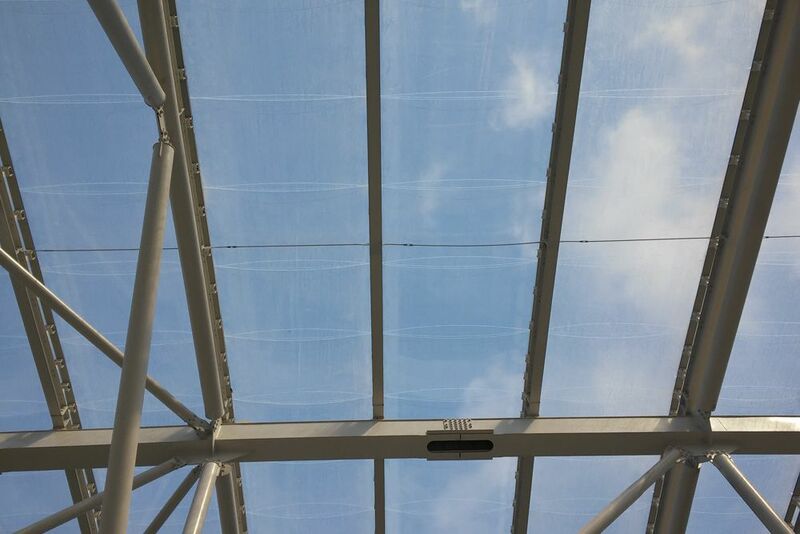 The ETFE cover is made up of 96 cushions, of which 36 double-layer ETFE cushions are located on the fixed cover and 60 three-layer ETFE sheet cushions are located on the mobile cover. 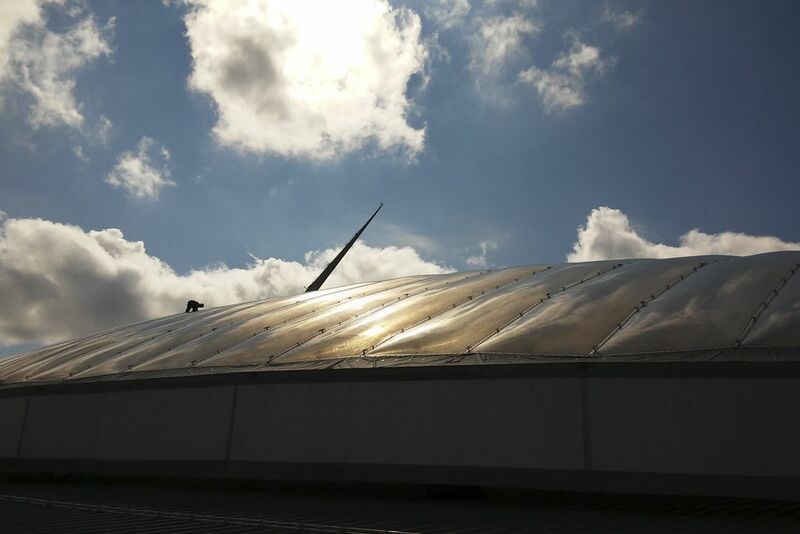 A total area of 18,000 m², of which 5,000 m² are covered by fixed ETFE and 13,000 m² are covered by mobile ETFE. 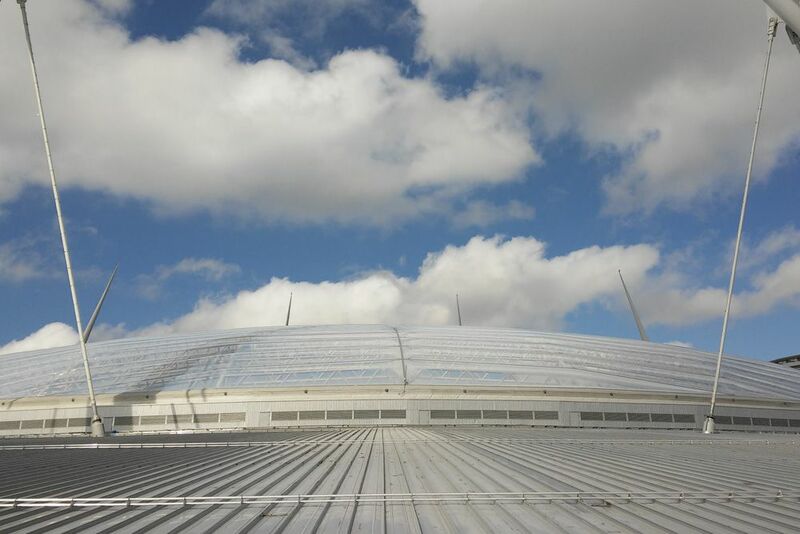 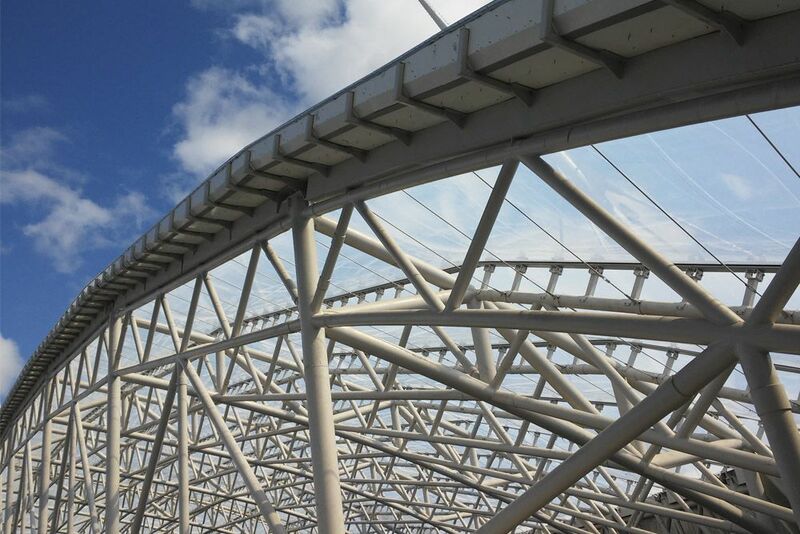 Undoubtedly, the roof gives more luminosity, lightness, design, integration and solar control in the new stadium.